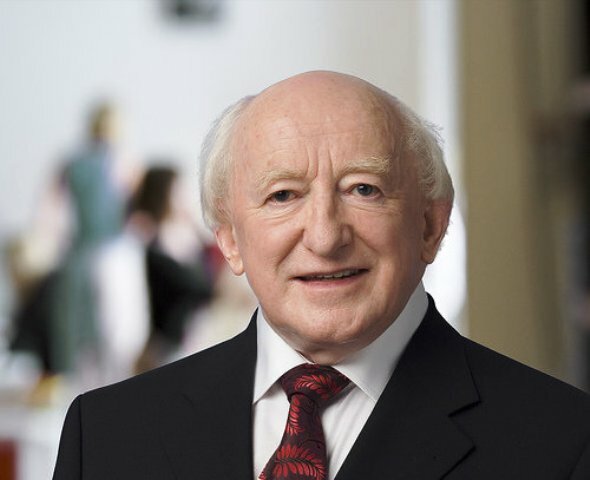 President of Ireland, Michael D. Higgins, has written a strong letter of support to Director of Áiseanna Tacaíochta (ÁT), Martin Naughton, as he sets off on our Two Hearts Beat as One initiative in America. Noting the importance of building solidarity between those who stand for equality and human rights in society, the President endorsed the journey to America and gave his support for the vision underpinning it. Martin, joined by his team of Personal Assistants (PAs), our Communications Officer, Orlaith Grehan, and our collaborator, Niall O’Baoill, is this week travelling to America – entirely at personal expense – in a month-long, powerfully symbolic journey designed to connect with the key leaders and locations associated with the civil rights and disability rights movements there. This year has focussed world attention on the 50th anniversary of the historic Selma-Montgomery march, led by Martin Luther King, which progressed and united the civil rights movement in America, and it also celebrates 25 years since the Capitol Crawl in Washington DC, which saw disability activists abandoning their wheelchairs and mobility aids to climb the steps of the Capitol Building to demand and ultimately secure the passing of the influential Americans with Disabilities Act (ADA). This journey represents an important opportunity to celebrate and link with those behind these seminal moments. “The issue of the human rights of persons with disability is a great challenge for our time and for all who are in positions of leadership. Martin has shown himself to be an advocate for human rights of remarkable courage, tenacity and ambition over several decades”, wrote the President. The text from the Letter of Support from President of Ireland, Michael D. Higgins, is also shared below. As President of Ireland, I am pleased to show my support and my encouragement to Martin Naughton with respect to his symbolic journey to important locations in the history of the civil rights movement of the 1960s and of the disability rights movement of the 1980s and subsequently. I support the vision which underpins Martin’s journey: that of building solidarity between those who strive for equality, dignity and human rights for all groups in society, as well as building friendship and solidarity between the peoples of the United States and Ireland. The issue of the human rights of persons with disability is a great challenge for our time and for all who are in positions of leadership. Martin has shown himself to be an advocate for human rights of remarkable courage, tenacity and ambition over several decades. He has shown inspirational leadership in the struggle for equality in Ireland and I believe this journey and the political and other engagements can play a valuable role in raising public awareness of disability rights in the United States and in Ireland. I would respectfully ask that you provide whatever support and assistance that you can to Martin Naughton in the course of his journey.